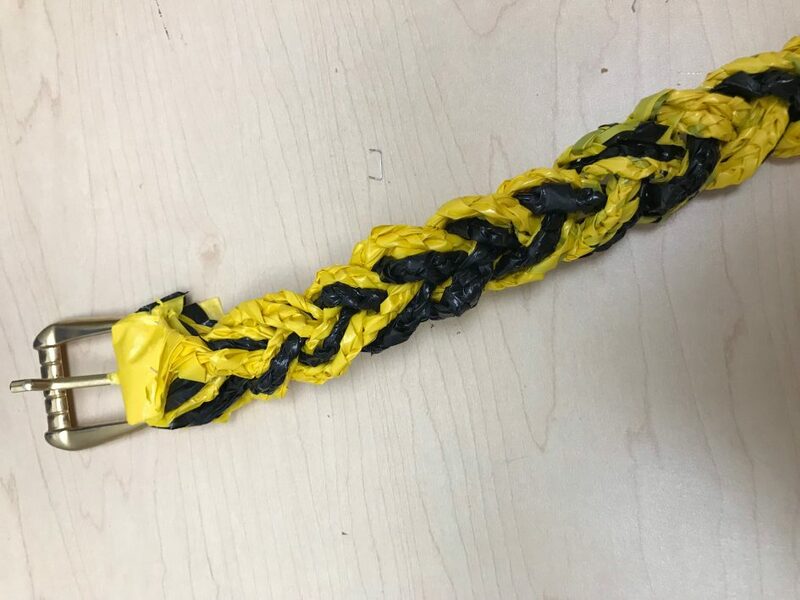 For my plastic bag project, I made a belt out of two plastic bags and metal connectors. 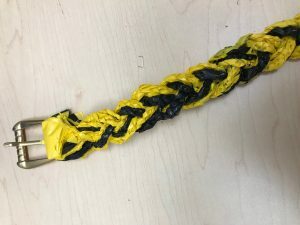 I braided plastic bag strips to make it strong and durable and attached it to the connector. All the parts can easily be taken apart and can be recycled.